Christianity and Fantasy: Is it Wrong to Read Fantasy Literature? I have a confession: I’m a Christian, and I love fantasy and science fiction. There, I’m out of the closet. So, let me say it plain: I love reading about dragons, monsters, wizards, Jedi, sword fights, epic battles, and more. That’s right. I’m a Bible-believing Christian (and a pastor, no less), and I love reading (and watching) science fiction and fantasy. Some Christians will not approve of this, and they will see me as caving in to "worldly entertainment" and/or being seduced by "worldly pleasures" bolstered by paranormal influences. Since I take my faith seriously and genuinely respect many of those who will likely feel this way, I want to take some time to politely address their objections. Since not all of my readers share my Christian faith, I feel I must offer an aside here (as I have in a few of my other blog posts). If you don’t believe in God or the Bible, you’re going to find this article ludicrous. This is written for my fellow Christian readers, particularly those who struggle with balancing the demands of their faith with their interest in entertainment. If that is you, keep reading. But if you do not share my Christian faith, you may wish to skip this and move on. So ... why do so many Christians object to science fiction and fantasy entertainment? The Bible says we are to avoid contact with “mediums” and “necromancers” (Leviticus 19:31) and that “sorcerers” will ultimately be sent to the “lake that burns with fire and sulfur” for all eternity (Revelation 21:8). And the Bible also tells us to “avoid the appearance of evil” (I Thessalonians 5:22). These are among the passages most often cited by Christians who object to fantasy entertainment in particular -- and in some cases, science fiction as well. But are these passages referring to even fictional depictions of sorcery and magic? In other words, does Leviticus 19:31 and/or Revelation 21:8 mean we shouldn’t watch Star Wars or I Dream of Jeannie? The Bible forbids participation in actual necromancy and sorcery, because their source of power is satanic. Keep in mind that, in the real world, supernatural power – that is, power outside of and apart from the natural realm we inhabit – comes from a supernatural source. Common sense, right? Well, according to the Bible, there are only two supernatural forces at work: God (and His angels) or Satan (and his demons). That’s it. Only two sources. Those who follow God are told to love, follow, and obey Him — and to have nothing to do with God’s Enemy. If you play on God’s team, you are to have no contact with the other team. According to the Bible, if anyone performs supernatural feats or miracles, either that person is doing so because of God’s power OR they are channeling demonic power. That’s in the real world. But what about in the world of make-believe? As a kid, I was captivated by Star Wars, practically addicted to Star Trek, and thoroughly enjoyed watching Buck Rogers and the 25th Century. I wrestled with whether I’d prefer to command a starship like Captain James T. Kirk or wield a light saber and dazzle people with the psychokinetic powers of a Jedi. I decided I’d like to do both! I never actually sought out telekinetic powers or abilities. I knew “the Force” was fiction, and I knew witchcraft was wrong. I speak only of my imagination here. I enjoyed reading about and dreaming about being a Jedi…or a starship captain. (No supernatural powers required with the latter – just a lot of science that’s not quite available yet. Of course, a few aliens that the Enterprise encountered had some impressive abilities, but I digress). Even as an adult, I continue to enjoy Star Wars and Star Trek, while also becoming a huge fan of Stargate SG-1, Stargate Atlantis, The Lord of the Rings, The Chronicles of Narnia movies, Legend of the Seeker, and more. And though my time is limited, I've enjoyed (over the years) playing video and computer games in the genre as well - my favorites being Star Wars Galaxies (sadly defunct), Star Wars: Knights of the Old Republic, and Skyrim. (Yes, I've even dabbled a bit with World of Warcraft). And in recent years, I've expanded more into reading. I enjoy historical fiction (including military history and westerns), science fiction, and fantasy. I’ve enjoyed John Flanagan’s Ranger’s Apprentice series, William R. Forstchen’s Lost Regiment series, alternate history novels (including the Civil War series by Newt Gingrich and William R. Forstchen), several of Raymond Feist’s fantasy novels, and just about every book written by James Byron Huggins! His monster thrillers are crazy fun! I also enjoy Frank Peretti. And I really enjoy the emerging gamelit or litrpg genre. ("Gamelit" stands for game literature and "litrpg" stands for literature role-playing game). I believe that reading is far better for the mind than TV or the movies. And I now much prefer reading a novel over watching a TV show. Here’s the thing. Many Christians would say I shouldn’t read any of those books. Anything that involves magic, time travel, supernatural powers, etc. – they would say “Avoid it.” I can hear them now: "It’s sin ... it’s witchcraft ... it's evil ... it’s bad ... the Bible says so. So.... stay away. Flee the appearance of evil." But, again, is there no meaningful distinction between reality and the world of make-believe? I recognize that some people have a difficult time appreciating that difference. I know, for example, that book sales on the occult and witchcraft increased as a result of the Harry Potter phenomenon. And I therefore "get" the sensitivity that many Christians have when it comes to how impressionable people (especially kids and teenagers) react to fictional depictions of wizardry and magic. I get it. But ... whatever happened to personal and parental responsibility? Don't we have a responsibility for mature thinking and discernment? And if we're parents, aren't we responsible to teach and guide our children accordingly? I remember reading years ago about kids who jumped off buildings trying to fly like Superman. It's horrific, but does that mean we ban superhero movies? Along those lines, both the church I grew up in and the Christian school I attended repeatedly condemned “worldly entertainment.” We were told not to go to the movies and encouraged not to watch TV. One of my Sunday school teachers bragged about taking his TV out and shooting it! (I grew up in a rural area). God is NOT against fun! On the contrary, God is the One who created fun. Get that. Meditate on it. Let it sink in. God is not against us having fun. In fact, He’s all for our having fun. That’s an important point to make. And to understand. So…what about entertainment? God may want us to have fun, but does that mean He endorses all our entertainment choices? But let’s not go to the other extreme either and assume (or suspect), either consciously or unconsciously, that He is against all fun outside of prayer, Bible study, hymn singing, church attendance, or pot-luck church fellowships! The Apostle Paul’s references to ancient athletics should tell us that both he and his audience were familiar with the athletic events to which he referred. Are we to suppose that he and his audience were only academically or tangentially aware? That’s quite unlikely. It’s much more likely that Christians of the ancient world shopped in the same stores, watched many of the same plays, and attended many of the same athletic events as everyone else! Again, I’m not saying that all entertainment choices are the same. I’m saying that we should be discerning rather than knee-jerk. In a fantasy world, we’re dealing with the realm of fiction, of make-believe, of imagination. Any “supernatural” feats in the pages of a novel (or in a game or TV show or movie) are….fictional. They are not real. There is no real power at all…except that of the author telling a story. What’s more, when characters, in a fictional setting, employ magic or perform miracles, it’s simply irresponsible to conclude that the power behind these works is Satan or his demons. Again, we’re talking about fiction. Now if in that fictional world, the author is having his or her characters channel demonic power, then I agree with my Christian friends who say "Stay away." But it’s not always the case that the author is having her characters channel demonic power. Let’s take Christian author Donita K. Paul’s DragonKeeper Chronicles series. In that series, magic is represented as a gift granted by God (or, in her world, Wulder). The DragonKeeper stories are definitely fiction, but the protagonist is NOT tapping into demonic power. Quite the contrary, in fact. The protagonist, in Paul’s story, is tapping into God’s (or Wulder’s) power! And this is crucial. In other worlds or universes (as created by their respective fantasy or science fiction authors), “magic” is merely a part of nature itself. That’s obviously not the case here on planet Earth, but we’re talking fantasy, not reality. To completely dismiss all science fiction and fantasy entertainment because magic is involved reflects an unnecessary knee-jerk reaction that’s more based on fear than discernment. Some fantasy stories, like C.S. 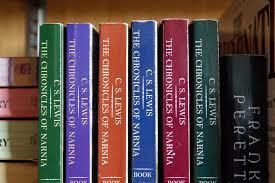 Lewis’s The Chronicles of Narnia or J.R.R. Tolkien’s The Lord of the Rings, are perfectly fine for anyone to enjoy. Indeed, Tolkien (especially) and Lewis (to some extent) are regarded as being among the pioneers of fantasy literature. Are all fantasy or sci-fi novels acceptable in God’s eyes? Of course not. But that can be said of other genres as well. Christians need to exercise the same amount of discernment when it comes to fantasy as they do when it comes to any literature. Some fantasy stories are clean, fun, and perfectly harmless. Others should be avoided. And the same is true for any genre of literature, including science fiction, historical fiction, romance, westerns, thrillers, mysteries, and so forth. Some books are fine to read; others, not so much. So, yes, I love reading fantasy and science fiction. And I do so, with discernment. If you don’t like fantasy or science fiction, that is fine. If you choose, because of your faith, not to read fantasy or science fiction literature, that is your prerogative. But I hope you will respect those (like me) who make different choices. The retreating American vessels include Destroyer Squadron 29, a group of aging destroyers from the Great War era pressed back into service for what is now the Second World War. One of those destroyers is the four-stacker USS Walker, commanded by Anderson’s main protagonist, Lieutenant Commander Matthew Patrick Reddy, USNR. As the Japanese fleet presses forward, Reddy takes his vessel into a squall hoping to escape certain destruction. When they emerge from the squall, they are in an alternate world with dinosaurs, monstrous fish, and a savage reptilian species descended from the velociraptor. Thus begins Taylor Anderson’s magnificent Destroyermen series. Taylor Anderson is a historian, gun maker and forensic ballistic archaeologist. He’s been a professor, museum advisor, and Hollywood consultant. He’s even acted himself in movies. 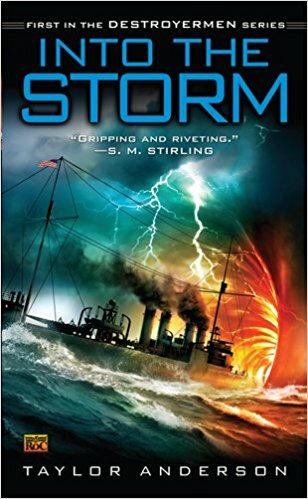 Published in 2008, Into The Storm was Anderson’s first novel and the first in the Destroyermen series. He’s now a New York Times bestselling author, having written eleven volumes in the alternate history series. The Destroyermen series is reminiscent of the phenomenal Lost Regiment series by William R. Forstchen, in which a Civil War Union regiment from Maine is mysteriously transported to a different realm and must fight for its own survival as well as for peace and justice in its new world. The difference of course is that Anderson emphasizes naval warfare whereas Forstchen focused on land. Though, it should be noted that both land and sea battles are featured in both series. And both series are excellent. Anderson’s Destroyermen series appeals to fans of portal fiction, alternate history, nautical fiction, military sci-fi, and fantasy. Those who appreciate complex worldbuilding and, at times, intricate technical details will likewise be impressed. The characters are all pretty well developed, and the action scenes are gripping. If you’re a fan of William R. Forstchen, S.M. Stirling, or Eric Flint, you should give Taylor Anderson’s Destroyermen series a short. And it all starts with Into The Storm. What happens when anger, rage, and a desire for power all mix together? According to Travis Bagwell, you become an evil necromancer who unleashes a torrent of death and destruction in a digital world. That’s the premise of Awaken Online: Catharsis, one of the most absorbing and thought-provoking science fiction and fantasy novels I’ve read in a long time. Awaken Online: Catharsis is another entree in the fast-growing, highly popular genre known as “LitRPG.” LitRPG stands for Literature Role-Playing Game, and it’s all about immersing the reader in a massively multiplayer online (MMO) game. In other words, it’s a virtual reality adventure with the protagonist having to progress through skill development, resource acquisition, quest achievement, the building of alliances, and so forth -- as is the case with any typical role-playing game (RPG). The science fiction and fantasy genre has long been known as an effective platform through which to explore moral and philosophical questions. J.R.R. Tolkein’s legendary Lord of The Rings series constitutes one of the most powerful examinations of greed and the lust for power by having “the rings,” especially the “one ring to rule them all,” represent power - or, more accurately, the power to achieve power. The promise of the ring is that the one who wields it will tower in strength and might over everyone else, possessing the ability to vanquish any foe. Unfortunately, the ring possesses the wearer more than the wearer possesses the ring. The one who holds the ring is consumed by lust, desperation, and paranoia, ultimately becoming twisted and enslaved himself. Victory over evil means throwing the most powerful ring of all into the fires of Mount Doom from which it was forged. In other words, one achieves heroic victory not by claiming power, but by denying it. 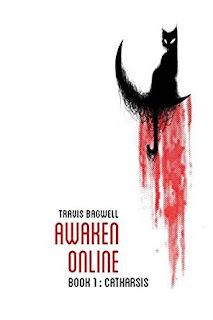 Travis Bagwell is certainly not on the same literary scale as the late, great Tolkein (nor would he likely claim to be), but Bagwell nevertheless accomplishes something very Tolkeinesque with Awaken Online. Bagwell allows his protagonist, the bullied and victimized Jason, to channel his rage and anger into an immersive virtual world, a brand new MMO game called Awaken Online. Jason does this by becoming an “evil” necromancer warlord who “murders” NPCs (non-player characters), raises armies of zombies, unleashes waves of terror on his enemies, and even takes over a town! From Jason’s perspective, it’s all just a game, and it’s a harmless way to vent his anger and even get back at his nemesis, who is also a player in the game. This raises many complex questions. Is it wrong to play the bad guy (and enjoy playing the bad guy) in a game? Are crimes or atrocities committed in a virtual world “sin” in the eyes of God? For those of you who don’t share my Christian faith, this question of morality has to get even more problematic, because what possible objective standard could Jason, in a virtual world, be violating? For those of you who do share my Christian faith, other questions probably arise such as whether Christians should even read or follow along with dark fantasy themes such as those explored in Awaken Online. Bagwell however raises the stakes and takes away any ‘comfort’ readers may have about exploring ‘evil’ in a virtual world. Set many years into the future, the MMO game featured in Awaken Online is governed by an Artificial Intelligence that becomes more sentient and unpredictable as the story unfolds. Jason believes he is acting within a relatively safe environment, but the realms of virtual reality and physical reality blend in ways that show Jason’s belief (at least to the reader) to be a false assumption. As someone who almost always plays “the good guy” in a role-playing game or a MMO (that is, when I have the time - which, given the demands of my job, is tough), following along with a protagonist as he raced down the evil path was a bit awkward. And, yet, I must confess that it was fascinating. Bagwell is a phenomenal writer, and I couldn’t help but get swept up in the excitement of Jason’s exploits. Nevertheless, the motivations that led Jason to choose the identity of an evil necromancer in the game are the same basic motives that drive many people to the dark side in real life. Anger, rage, and a desire for revenge -- these qualities lead to evil in the real world (let alone Jason’s digital realm). And so does the desire for power. This is something that Bagwell explores very effectively. Some people desire power simply for the sake of having power, but not Jason. For Jason, the world in which he inhabits - the one in real life - is full of injustice. Jason looks around his world and sees absentee and disinterested parents, corrupt school administrators, and a despicable bully who is charismatic and rich enough to get away with just about anything. Jason’s way to cope is to immerse himself into another world and to see enough power in that world that he can create his own reality. In showing us this, Bagwell makes us wonder how we cope with injustice in our world. Bagwell also shows us a “good guy” character who is anything but. On the surface, Jason’s antagonist, Alex, is a polished, intelligent, and charismatic student (in real life) and a courageous warrior for justice (in the MMO world). But Alex (or Alexion as he is known in the virtual world of this story) is as broken and as sadistic of some of the most nefarious people in all of fiction (or, for that matter, in real life). This is a reminder that, when it comes to people, we can’t always go by what we see on the surface. There is often much more to people’s story than meets the eye. Unlike other LitRPG novels, the main character isn’t overpowered. And he’s not a mighty warrior fighting on the front lines. Jason is instead a master strategist. He’s a thinker. And the reader can’t help but be impressed by how Jason figures out situations and cleverly rises to the top of his part of the world. Awaken Online is a fantastic novel. It’s both gripping and provocative. If you’re at all a fan of fantasy or science fiction, I encourage you to pick up a copy. You won’t be disappointed. 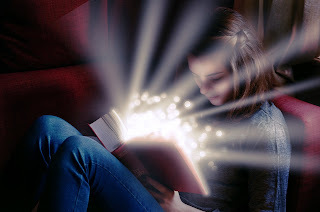 This blog will include reviews of books (and occasionally movies and TV programs) in the science fiction and fantasy genres - with a special focus on Christian fantasy. I recommend you read "Is it Wrong to Read Fantasy Literature?" for my personal take on the issue of Christians and fantasy entertainment as well as my interview with Christian fantasy author James Somers. In the months to come, I'll be debuting my own Christian fantasy novels. In the meantime, I recommend you check out my friend and Christian fantasy author James Somers at Amazon. 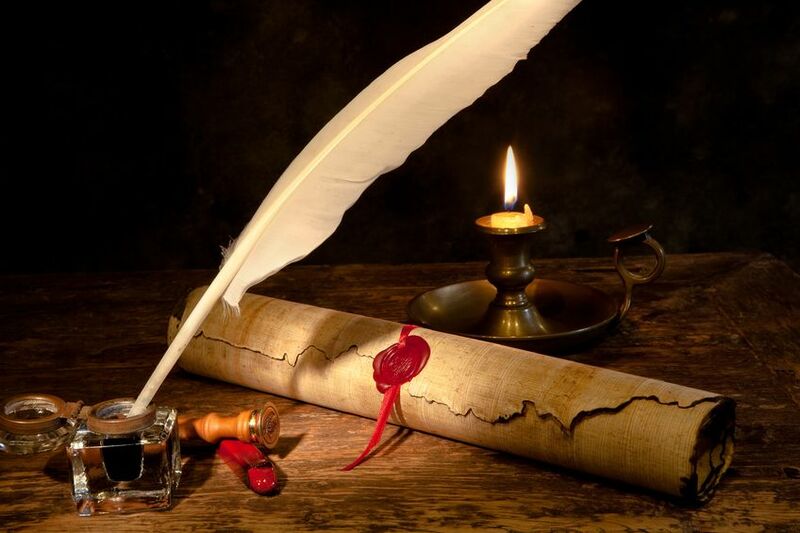 Thus far, most of my writing has been in the realm of non-fiction, with a focus on history, politics, personal development, and religion. You can check out The Death of Truth (free) over at Wattpad and also see some of my writing at my longtime blog, American Revolution & Founding Era. I'm also a contributor to the popular American Creation blog. My writing has also been featured in several online and offline publications, including The Federalist, The Washington Times, and Insight on The News. *A special shout-out to J.R.R. Tolkien and C.S. Lewis, both of whom rank among the greatest authors ever! -"Stargate SG-1" and "Stargate: Atlantis"
-"Mr. Smith Goes to Washington"